I’ve written about our move from Oslo to Budapest in several different posts and thought it would be good to have a sort of summary post for those that are interested in the logistics. Why did you drive down instead of taking a plane? We spent a good few weeks discussing our different options. The apartment we were living in in Oslo came furnished, but we still had too much to just put it all on a plane. We decided that we would sell as much as we could and drive down with the rest. We didn’t have the option of leaving anything behind in Oslo and couldn’t see ourselves selling absolutely everything. I haven’t acquired too much in my three years since moving to Oslo (mostly just clothes, books, etc) but Skjalg had a good deal of valuable things. He ended up selling his snowboard and snowboarding gear, DVDs, printer, Playstation 3 with all his games and add-ons, school books, coffee machines, juicer, microwave and vacuum cleaner, and also gave away his rug, lamps, desk, bookshelves, folding chairs and toaster. The apartment in Budapest is also furnished, so we really only needed to take down personal things. A lot of hours were put into figuring this one out. Base price of 15.000,- ($2,500) and then more for extra kilometers and gas. Too much of a hassle on both ends, no guarantee that we would get our money back. Most cars didn’t have hanger attachment, those that did were more expensive and didn’t include the actual hanger. When we found a hanger for a good price, we learned that we would have to pay an extra 25.000,- ($4,150) for driving the car out of Scandinavia. None of our friends in Oslo owned a car and borrowing one from Skjalg’s family up in Bodø would have added 2-3 days of extra driving and about 5.000,- ($1,000) extra in gas. Skjalg searched around online for different car rental companies in Budapest. He wasn’t having any luck so he tried varying the search (trying to find the magic phrase): truck rental, van rental, moving rental, etc. He then used the User’s Guide to Hungary to find the word for “car rental” in Hungarian, googled it, and used the google chrome browser to translate the sites he found in the results. He emailed several different companies and waited a few days before calling to follow up. Most of the companies answered after he had been calling for a while, though some didn’t speak any english and just told Skjalg “send mail” (to which they never replied to). He tried booking online but either found that it wasn’t available or that they didn’t have that type of car. He finally got a couple of price offers by mail and responded to the one with the best price. They emailed back and forth several times: discussing GPS navigation possibilities, highway stickers, insurance coverage, cost of extra mileage, etc. They then sent a final offer, which Skjalg accepted. He sent another mail a couple of days later asking if they could deliver the car to our apartment in Budapest (a service that they offered for free on their site). He received no reply to this mail so he sent yet another mail and then called them for three days before he finally got a hold of someone that worked there. This man told him that they had no such car in their company. At this point we only had two days to find a car. Skjalg began yet another search for car companies online. One of the ones he contacted was called “Best hotel car rentals” and told him that they couldn’t confirm anything beforehand and that he should just show up the next day to see if they had the truck available. He googled for a bit longer and found the company that we ended up renting from, “Rent a Car – Auto”. The owner was out driving but said he would check if he had the truck we needed available during that period. He called soon after and told Skjalg that he could move some things around so that we could rent a truck that would be able to handle the long drive. The price included all costs, even unlimited miles and he spoke perfect English – which was a relief. 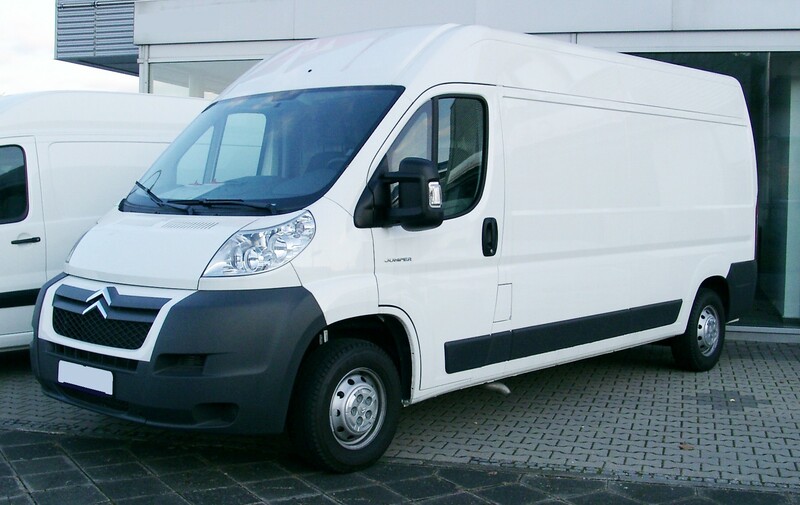 The truck rental was 3.750,- ($625) – a fraction of the other options. This was paid in cash (as is quite normal in Hungary) and credit card was used to pay a deposit of 6.000,- ($1,000). The car was comfortable but loud, and looked like it had been around the block a couple hundred times. It wasn’t brand new, but it got us from A to B and back again. Skjalg and Kaja picked up the rental in Budapest on Monday morning and arrived in Oslo on Tuesday at around 23:00. We had Wednesday to pack the truck and finish cleaning. On Thursday we were to meet the landlord at 10:00 to turn in the apartment. He was running late, so we weren’t able to leave until noon. I wasn’t the best at keeping track of our progress, but this is what I have scraped together from memory, text messages to friends and family, and from my service provider. Tricky choice of title – for am minute there I was scared that you had a breakdown during travel – to us mainly meaning a car breakdown. But all is well. You are currently reading Break-down of our Road Trip at Buda-B.